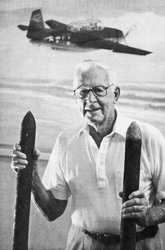 Allan McElhiney Founder of NASFL Museum - Naval Air Station Fort Lauderdale Museum Naval Air Station Fort Lauderdale, the only military Museum in Broward County, on the register of historic places. 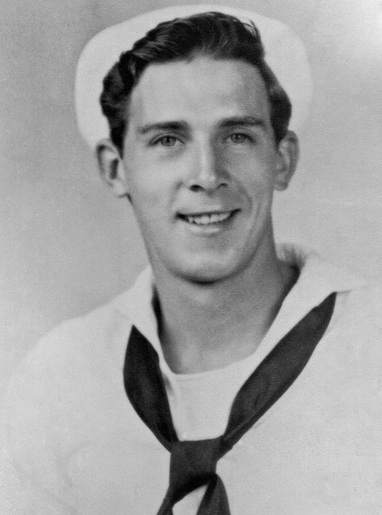 Allan McElhiney as a sailor during WWII. 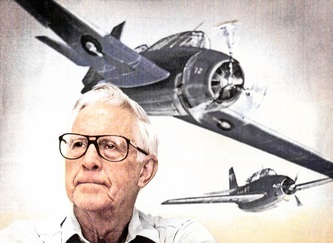 Allan McElhiney was born November 9, 1925, to Allan and Ruth McElhiney in Lynn, Massachusetts. His father was a Marine who served in World War I. Allan has three brothers, all of whom served in the military, and one sister. On Allan's 17th birthday, his parents signed his papers to join the Navy. 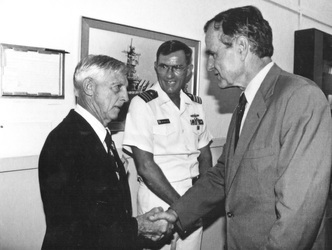 Beginning in 1944, he served on convoy duty on the Patrol Frigate USS Asheville PF-1 based at Port Everglades. 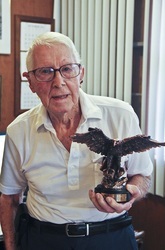 Allan McElhiney received the World War II Victory Medal, the American Theatre Medal, and the Good Conduct Medal. After World War II while in the Reserves, he was called to active duty for the Korean Conflict, back aboard the USS Asheville. After his discharge from the Navy, like many veterans who had spent time or heard stories of our area, Allan moved with his wife Carolyn and five children to Fort Lauderdale. He started a wall-covering business with contracts up and down the East Coast as well as the Bahamas. 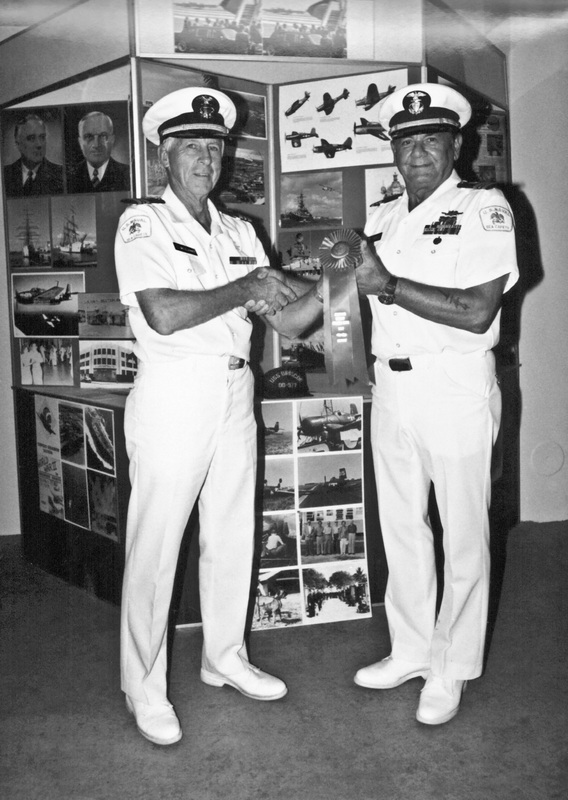 In the 1970's he joined the Navy League, and later became chairman of the Sea Cadet Program. 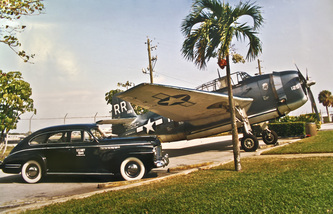 Restoration has continued since, to complete Allan's dream of a permanent place (Naval Air Station Fort Lauderdale Museum), to honor the service and sacrifices of those who trained here during World War II. In the course of more than 30 years, McElhiney compiled a vast amount of documents, photographs, articles, and artifacts that are on display at the Museum. He did all this without pay, with the help from members and volunteers. 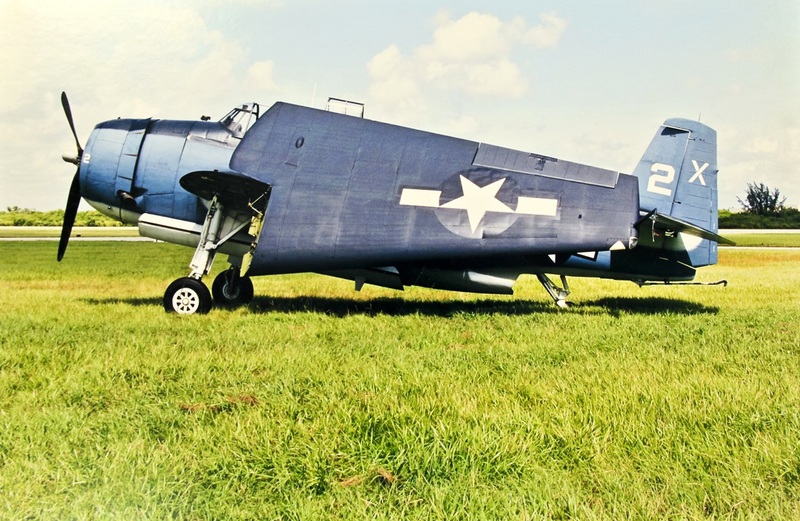 This World War II collection continues to grow daily, thanks to the efforts of volunteers, museum members and benefactors. Over the past several years Allan's physical health deteriorated, limiting his activities however his keen mind and sharp wit remained. 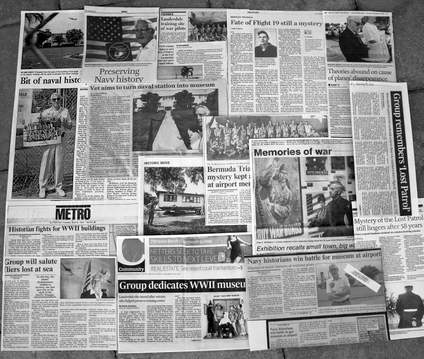 Having learned of the Honor Flight, he was invigorated by the opportunity to travel with other World War II veterans to visit the World War II, Korea, and Iwo Jima Memorials as well as the Arlington Cemetery in Washington, DC. It was obvious to his family and friends how very important this was to him. With the great help of volunteers from the non-profit organization Honor Flight South Florida, Allan made the trip of a lifetime on October 11, 2014. His joy was palpable, especially with the reception and celebration on their return that night to Fort Lauderdale-Hollywood International Airport. On November 9, 2014, after a long battle with Parkinson's disease, Allan McElhiney passed away on his 89th birthday. "So many died in the war... I feel that I should somehow keep their story alive." 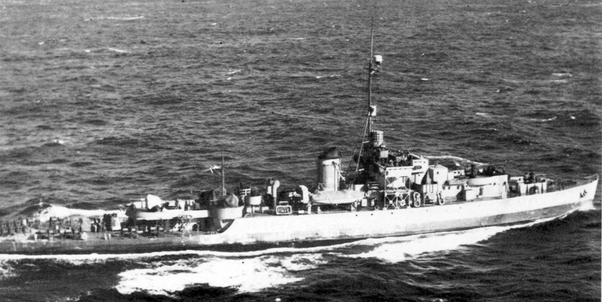 " I have met so many wonderful people"
McElhiney served on this ship: the USS Asheville (PF-1) during WWIIl. 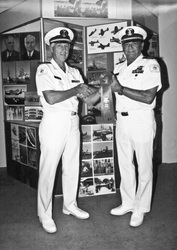 Photo: National Navy Archives. This Museum began with the vision of one man, who was a sailor in World War II. 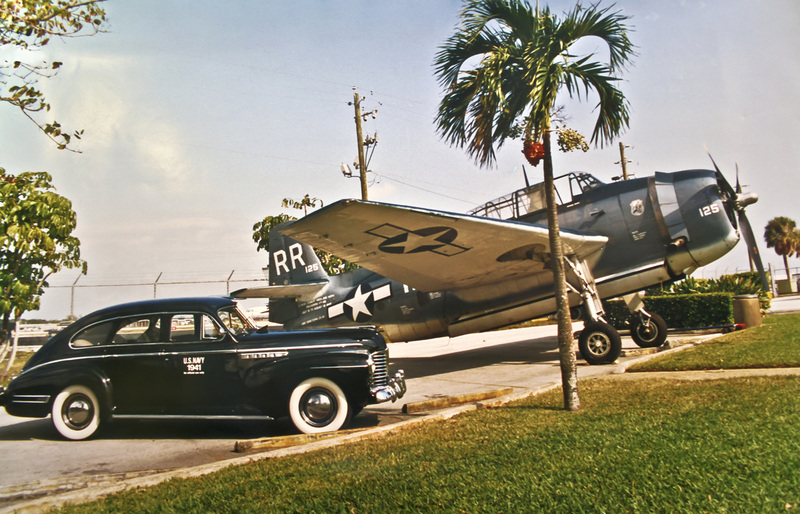 Nothing in the history of the City of Fort Lauderdale had greater impact in its growth and prosperity than its Naval Air Station, which was established in 1942. After the war, returning veterans created a population explosion in the area that dwarfed the 1920's land boom. This naval base provided an important catalyst for the growth and economic expansion of South Florida. 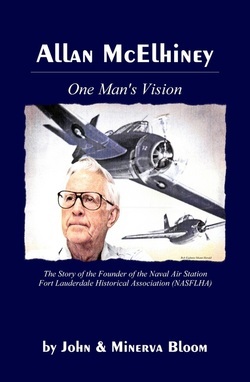 Recognizing this fact, the Naval Air Station Fort Lauderdale Historical Association can be traced to one man: Allan McElhiney who devoted much of his life to preserve a part of its history. 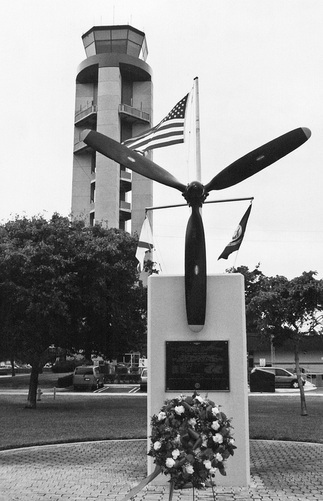 When the war ended, the base closed its doors and the buildings were all but forgotten. Progress was about to eradicate the past to make way for a new Airport, but thanks to the long fight of a visionary man who saw the significance of safeguarding a bygone era, a Naval Museum was established. With more than 100 vintage images from the WWII Period. This is the inspirational story of one man who's commitment to the cause of preservation has encouraged many to look into our past, to safeguard our future. The book is available in Softcover for $16.99 and Hardcover for $24.99 from Lulu Press and it is now available at AMAZON and you can also order it from your local bookstore. All proceeds from this book will go directly to the Museum, a Non-Profit Organization.